He’s a difference maker and I hope we can entice him to stay. He's not going anywhere. Pruitt and him are boys and we Nied him. For a top 10-15 class, this means he's pulling a ton of weight. Big raise coming, but also hope he can keep pulling that mich, then add Tee's value and it could be special. The view is amazing from the top of rocky top today ladies & gentlemen. Is anyone else surprised that 6 of the top 7 recruiters are white? Not trying to make a racial point, but I would've expected more of them to be African Americans with the many of the kids they're recruiting also being AA. For a top 10-15 class, this means he's pulling a ton of weight. It means that regardless. Your argument should be that for a 10-15 ranked class, if we've got the #1 recruiter in the country on staff, that means several people aren't pulling their weight. 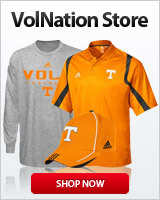 VolNation needs to decide who they are so we can put up a billboard to have them fired. Tee will be in there next year I would bet. Huge bang for the buck @ just $205K this year, hope he sees a salary bump of at least 50%. I am confused as to why I should notice or care in the most microscopic way? Saw somewhere UT, Alabama, and Georgia were the only schools with multiple 5 stars. Pretty impressive. One more time for good measure. Back up the Brinks truck! On the composite rankings, LSU has 3 and Auburn 2.